Without actually giving any details about the plot for season 4, I'd sell it to you like this. Season 4 just ensured that Dexter makes my all time favourite shows list. It's a short list. Dexter is just that good. Season 4 picks up with Dexter (Michael C. Hall) married, the father of a child, Harrison, and living in suburbia with his wife Rita. Like season 1, the main story arc revolves around a serial killer. This time around it's the "Trinity Killer" played by John Lithgow which prompts the return of Special Agent Frank Lundy to help apprehend him. Along with the serial killer story line, the show also focuses more on Dexter's life and his struggles in trying to be a model husband and father yet still find time to keep his "dark passenger" at bay (kill the bad guys). 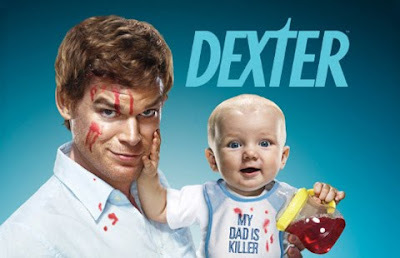 As the season goes on, Dexter begins to draw parallels between his life and that of the "Trinity Killer" and tries to learn from him instead of sticking to his fathers "code". As expected, this creates unwanted problems. As always, the supporting cast puts forward a solid effort to fill the time when Dexter or the "Trinity Killer" are not featured. Especially Jennifer Carpenter (Dexter's sister Deb) who steps up this season when she gets caught in the middle of the whole thing and really holds her own. This show has kept me glued to my laptop for 4 seasons now. Do yourself a favour.